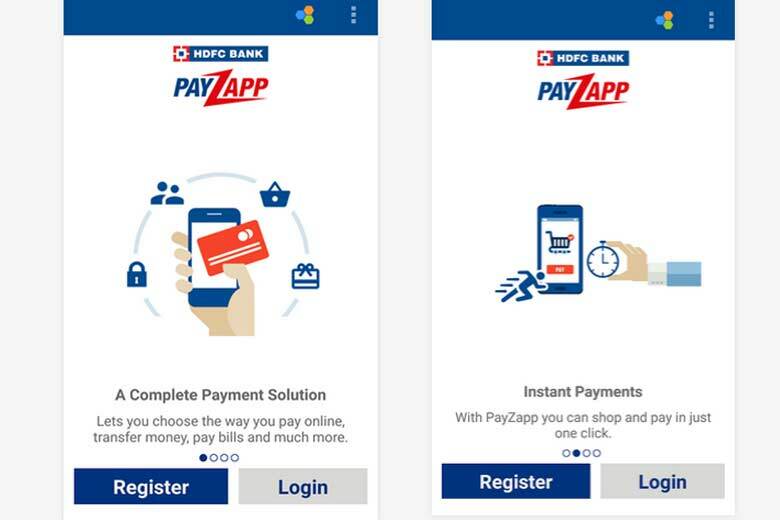 HDFC recently introduced their new all-in-one app PayZapp for making payments and money transfer mobile app. This is a unique invention of app launched by the leading bank of India to help the customers to make any type of payment just in one click. This app allows n number of transactions ranging from mobile recharge to ticket purchases for holidays and travel, shopping and other type of purchasing etc. This a special feature of PayZapp which comprises of all the major ecommerce websites which are present under one proof. For making this possible, PayZapp has partnered with leading ecommerce websites like Flipkart, Cleartrip, Makemytrip, Big Basket, Yatra etc. and many such. In the words of Mr Parag Rao, the app will facilitate a customer to use a app and single pin from anywhere in the world. The concern of prepayment and loading will be no more a cause of worry for the customers thanks to this app. The convenience of the customers is the prime aim behind launching this app. This product is the part of our Bank aap ki muththi mein initiative and infact it’s a digital leap in itself. It is like the whole world will be in the muththi of the customer and thus he will experience the power and benefits of banking. Mr Parag Rao manages Business Head, Cards, Payment Products and Merchant Acquiring Services. After having downloaded this app and the prima facie, we found the app to be quite promising. The app just lacks in the just one click services it promises which we hope it will be overcome soon. But, we found it easy to add a new debit card to the account and also money to the account with an ease. On using this app for buying at Flipkart, we just needed three steps for the whole procedure. Though, it still needs improvement, but unlike others, we managed to save one step due to the facility of pre-adding debit card. Another key feature of this app is the facility to create a virtual card for online transactions. Virtual card is a one-time use card which helps you to do online payments and transactions safely. You can use this facility if you are scared to add your original card to the account. The app is available for all smart phone users in the playstore. You can search there for the app and download it and cherish the benefits that it is offering. Also, it is not an app just for android users, it supports other smartphones also. We are happy to announce that from the day of its launch, the app is trending and has witnessed thousands of downloads by our HDFC customers, and the number is increasing. Thus, if you are a HDFC customer or planning to be one, then you can go ahead and download this awesome app and gift yourself with its fabulous features. We have also attached an introductory video which will give you every detail of app from installing to using. Hi, my payzapp account has been blocked because I forgot my password and I tried several times to login. I lost my amount from payzaap while adding money,i kept mails and calls but no replay from hdfc very bad no one is not responding.